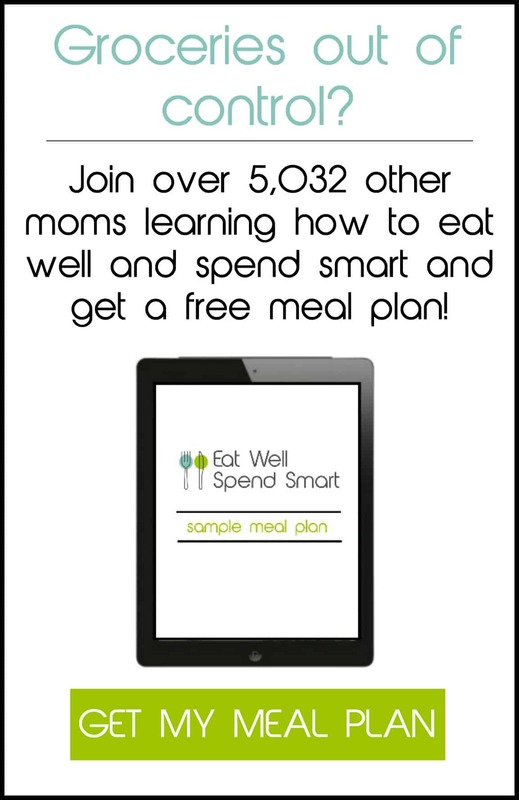 I write frugal meal plans every single month to help those who need a little more assistance getting a well balanced dinner on the table without breaking the bank. 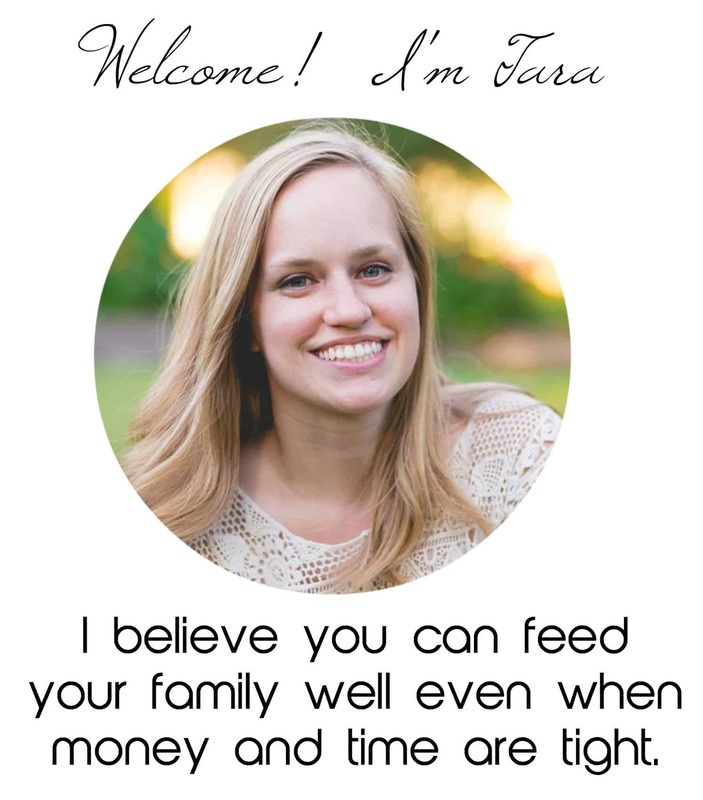 Even though I thoroughly enjoy the feedback I get from others who are using those meal plans to trim their budget and nourish their families, I always find them a little difficult to write, mainly for one reason. I don’t know what you already have on hand. 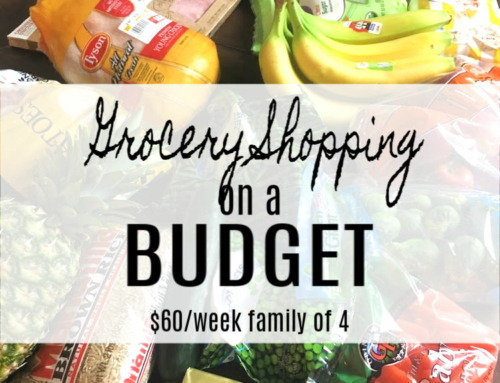 You see, we could probably drastically trim your budget even more if I could go into your home and take inventory of your pantry, fridge, and freezer to see what items you have just begging to be used to put on your dinner table. Instead of spending more money by buying the list of ingredients that I have made, I would use my very favorite food budget tip that I use every single week in my own home: Use what you have first! 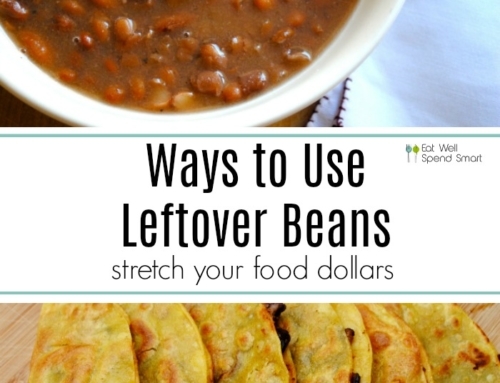 Maybe you have some random vegetables, a cup of rice, and some dried beans. You think, “I have nothing in this house to eat,” because it truly feels that way. Your fridge is not overflowing with food and you just have these random ingredients that don’t seem to go together. Take those random ingredients and put them together into something new. Throw everything together with some herbs and seasonings to make a yummy soup. Soup is a great way to make a little stretch a long way. Use broth if you have it. Use water if you don’t. Add a bay leaf with the vegetables and beans cook and it will taste “brothy” enough. Note: Pressure cook your beans for fast results or slow cook your beans for low and slow all day results. You could also turn those same ingredients into some type of rice and beans dish. Change up the seasonings and you could have several variations on the same dish. 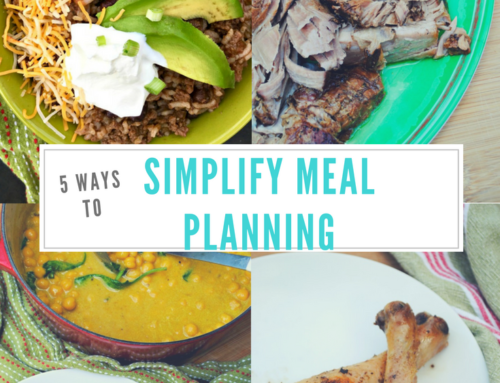 The point here is to get creative and think on your feet for ways to use what you have to create meals instead of always relying on “recipes” that require you to purchase new ingredients every week. 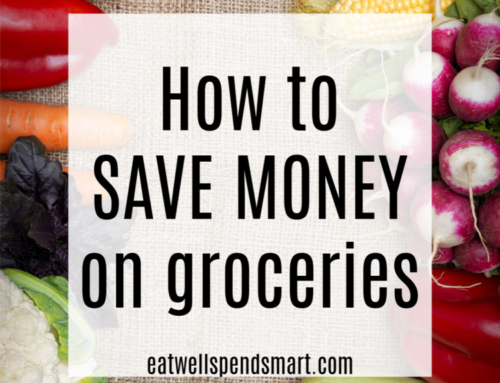 By using this method you will likely slash your food budget drastically. Here are a few more staples that most people have and how to use them. 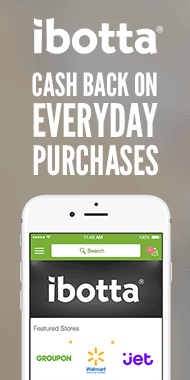 Use with any veg or meat that you have or meatless if you don’t have any. Add seasonings and a sauce. Basic white sauce: Equal parts butter and flour cooked together to make a roux. Add milk and whisk until thickened. Season with salt and pepper. Basic cheese sauce: Same as basic white sauce, just add cheese to make a cheese sauce. Basic butter and garlic or olive oil and garlic: Melt butter or heat oil. Add a couple of cloves of garlic, sliced or minced. Cook over low heat taking care not to burn. Toss with hot pasta. Lentils with rice: Cook rice and lentils according to package directions. Melt in butter, salt, and pepper. Because I know many of you are visual people and like to see pictures of how I implement this in real life, here are some absolutely horrible blurry photos taken with my phone right before we devoured them. 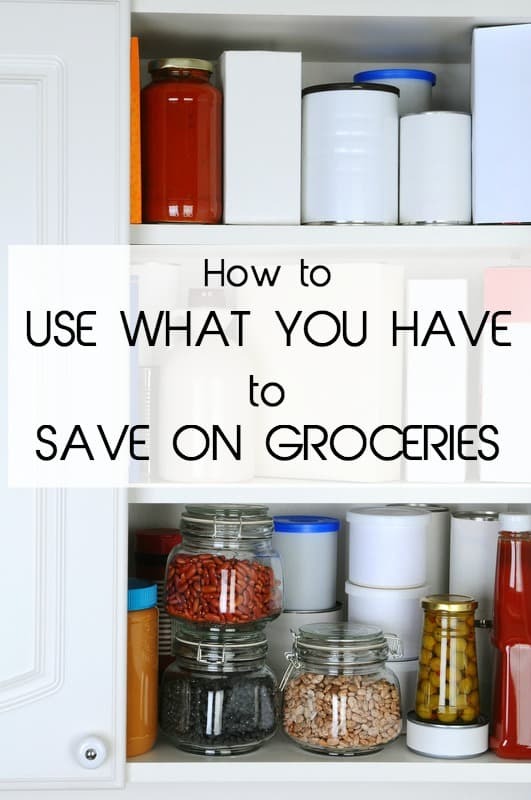 Here are examples of how to use what you have to save on groceries. Homemade pizza dough stuffed with leftover chicken that I mixed with a homemade barbecue sauce and cheese. Mexican pork and bean soup. Chimichanga made with homemade tortillas, leftover chicken spiced with Mexican spices, topped with a basic cheese sauce mixed in with a little salsa. Lentil and rice soup: Stock, the last of the dry lentils, rice, the last of the carrots, celery, onion, fresh herbs from my garden, salt and pepper. Hashbrowns topped with leftover taco meat, basic cheese sauce and served with random fruit and vegetables. 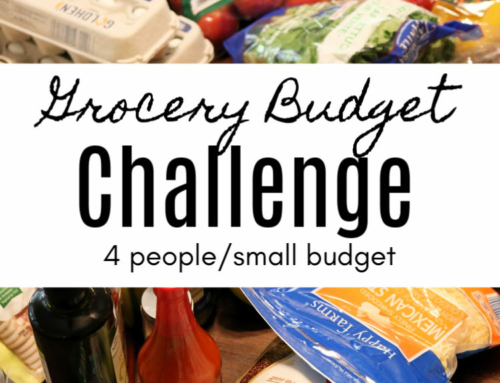 So my challenge to you this week is to take inventory of what you have in your pantry, refrigerator, and freezer and brainstorm as many ideas as you can using those ingredients. If you need help, shoot me an email, and I would be glad to brainstorm with you. You can do this!